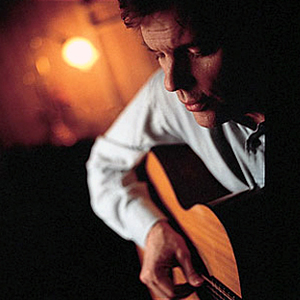 Leo Kottke (born September 11, 1945 in Athens, Georgia) is a legendary acoustic guitar virtuoso who has developed a cult following of fellow guitarists and fans over the span of a 30-year career of recording and performing. Blending folk, jazz, and blues influences into a signature finger-picked style of syncopated, polyphonic music, Kottke's work pre-dated and predicted much of the New Age instrumental music movement, and is often considered part of the American Primitivism movement, partly because he was signed to John Fahey's Takoma Records label. Blending folk, jazz, and blues influences into a signature finger-picked style of syncopated, polyphonic music, Kottke's work pre-dated and predicted much of the New Age instrumental music movement, and is often considered part of the American Primitivism movement, partly because he was signed to John Fahey's Takoma Records label. Kottke has collaborated on his records with his mentor John Fahey, Chet Atkins, Lyle Lovett, Margo Timmins of the Cowboy Junkies, and Rickie Lee Jones. He has recorded tunes by Tom T. Hall, Johnny Cash, Carla Bley, Fleetwood Mac, The Byrds, Jorma Kaukonen, Kris Kristofferson, Randall Hylton and many others. He is also a frequent guest on the radio variety program A Prairie Home Companion. Kottke has recently joined up with Phish bassist Mike Gordon to produce two new albums, clone and sixty six steps. This duo created a new tone resembling what can be described almost like island music.